Thousands of unaccompanied minors being apprehended at the US border with Mexico in recent months is big news—but children have been coming alone to the US for decades. 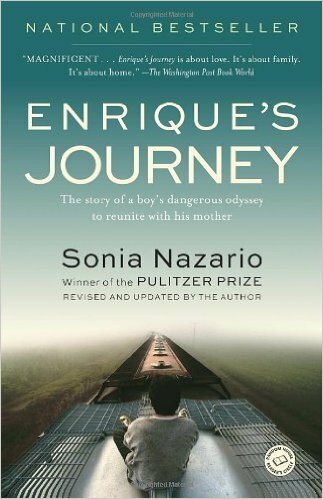 Enrique's Journey by Sonya Navarro (www.enriquesjourney.com) tells the remarkable and harrowing story of one such would-be immigrant and his perilous journey from Honduras to the US. Sonya Navarro won a Pulitzer for her amazing reporting. Braving the same violence and danger as Enrique, it took her five years to piece together this story. Armed with no more than his wits and his mother's phone number on a scrap of paper, eleven year-old Enrique made it to the US on his eighth attempt. Enrique's desperation and determination will make readers think anew about current border fortification, deportation policy, foreign policy, and the need for comprehensive immigration reform.